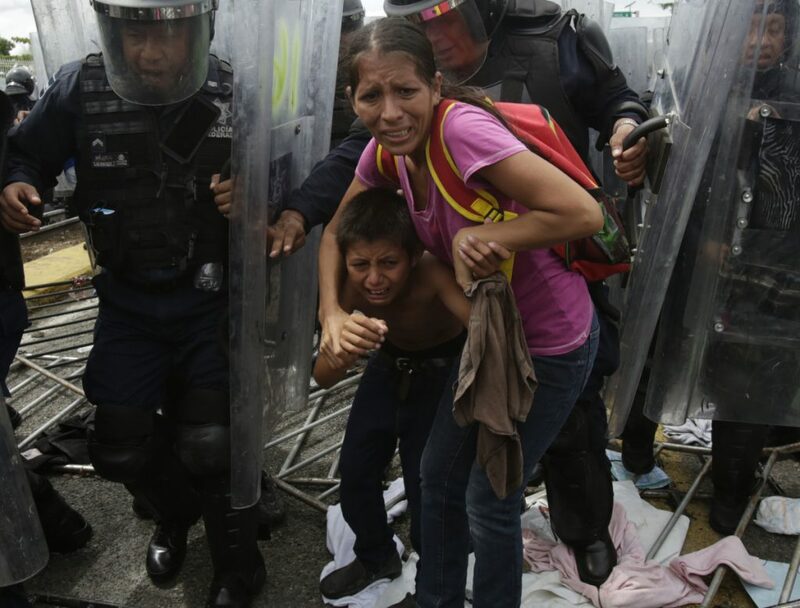 On the Mexican side of a border bridge, they are met by a phalanx of police with riot shields. 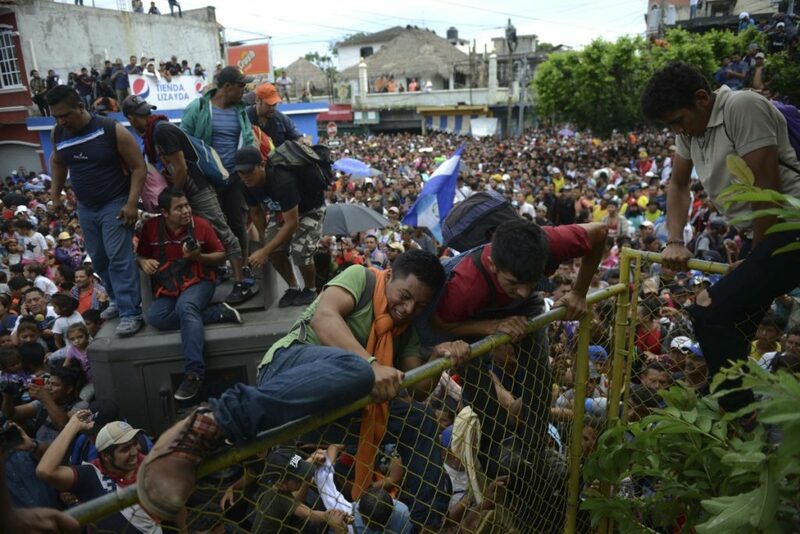 TECUN UMAN, Guatemala — Migrants traveling in a mass caravan burst through a Guatemalan border fence and streamed by the thousands toward Mexican territory Friday, defying Mexican authorities’ entreaties for an orderly crossing and President Trump’s threats of retaliation. Migrants who want to apply for refuge in Mexico were welcome to do so, officials said, but any who decide to cross illegally and are caught will be detained and deported. Secretary of State Mike Pompeo met Friday with President Enrique Pena Nieto and Foreign Relations Secretary Luis Videgaray in Mexico City, with the caravan high on the agenda.